Carnival Cruise Lines has announced some changes to Spirit class vessels for the cruise lines West Coats operations. Carnival Miracle will sail all year round seven-day sailings from Long Beach California. the ship will sail the Mexican Riviera from October 2014. Another Spirit class ship the Carnival Legend will sail from Seattle, Washington to Alaska from May 2015. Whats better is that both ships will also sail four cruises to Hawaii in 2015 and 2016. 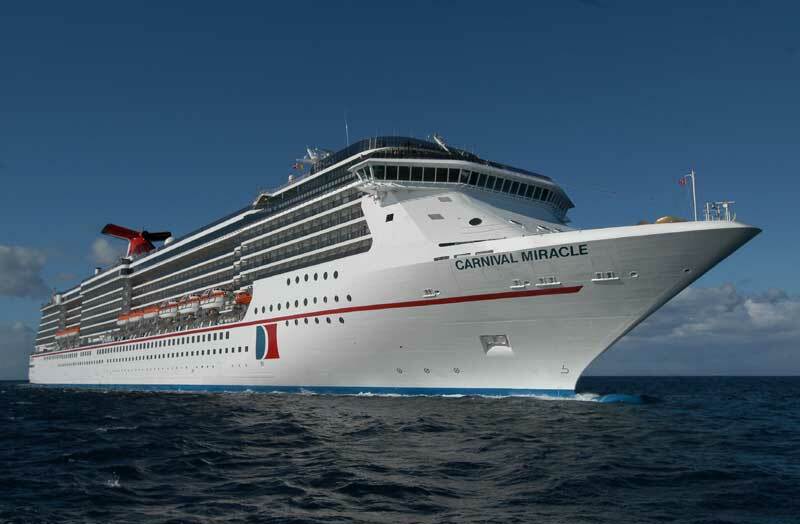 So the Carnival Miracle will sail three different week long itineraries including a seven-day three-port voyage including Mazatlán, Cabo San Lucas and Puerto Vallarta starting October 8th 2014. Another seven day cruise will include two ports and then another similar sailing which also sails to Cabo San Lucas. All itineraries offer different options with overnights. The Carnival Legend will deploy to Alaska after its season down under in Australia. This will begin in May 2015 with 16 week long cruises to Alaska from Seattle, Washington. Each voyage will depart from the rainy city on Tuesday all the way through to September 8th 2015. The Carnival Legend also offers all the latest FUN 2.0 upgrades and guets can take full advantage in it;s new deployment. The new features include the popul RedFrog Pub, WaterWorks and a bunch more spaces. The Carnival Mircale is schedule to get all the FUN 2.0 upgrades in it;s scheduled dry dock in March 2015.